The DSL VS20 Series of straps recalls the strap designs of the 50’s and 60’s. The no-nonsense, rock-and-roll styling is enhanced by top quality leather and durable construction. Each strap uses a classic suede backed shoulder pad with special width tails. The pad is made from premium quality medium-weight leather with premium suede backing. The suede backing provides grip for the pad on your shoulder, while the tails can run back and forth through the pad. The DSL VS20 Strap is handmade in Australia from hand-sourced highest quality leather. The top of each strap is made from tough but supple medium weight leather, while the backing is premium quality suede. 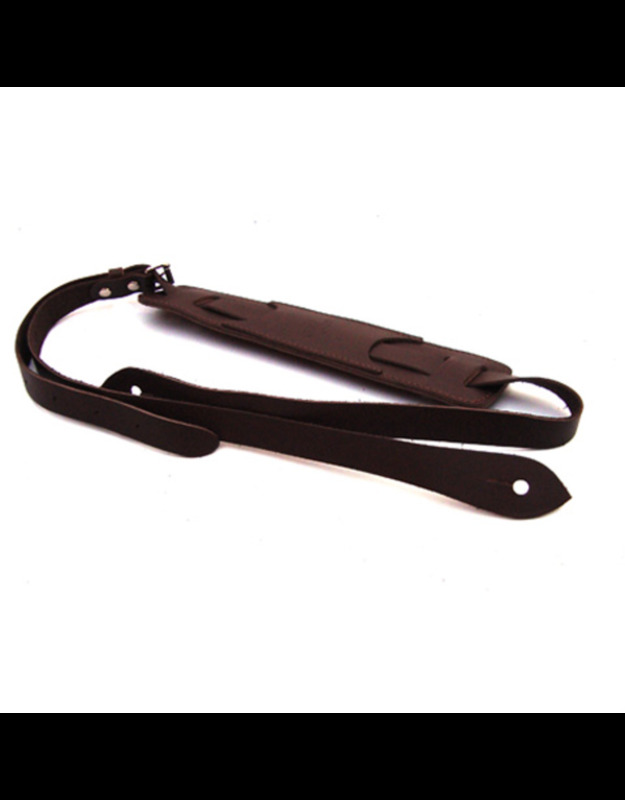 Supplied with DSL leather pick holder key-ring.